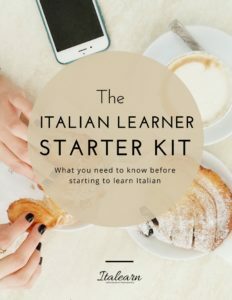 All of us are potentially going to learn one or more foreign languages in the course of our life. Probably, the main reason why adults learn a second language is because they are somehow forced to do so. For example, they have to move to another country for work, and who would turn down their dream job based on the fact that they don’t speak the language of the place they are moving to? 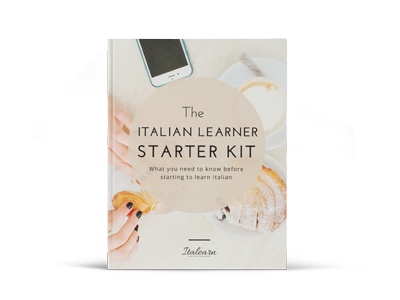 The second main reason why you learn a new language as an adult is your passion for it. Which is a pretty good reason, let me say. What do all these learners have in common? their second/foreign language is never as good as the first, native language, regardless of which the two languages are. There are actually no differences on results if you go from French to English or from Arabic to Italian or from English to Russian. another thing that the majority of these people have in common is that they have started learning a second language as teenagers and adults. This is more or less what happened to me as well. I started learning English when I was about 11 years old. My perception of the world and languages was already pretty clear at that age, indeed I wanted to learn languages so much to start exploring the world. 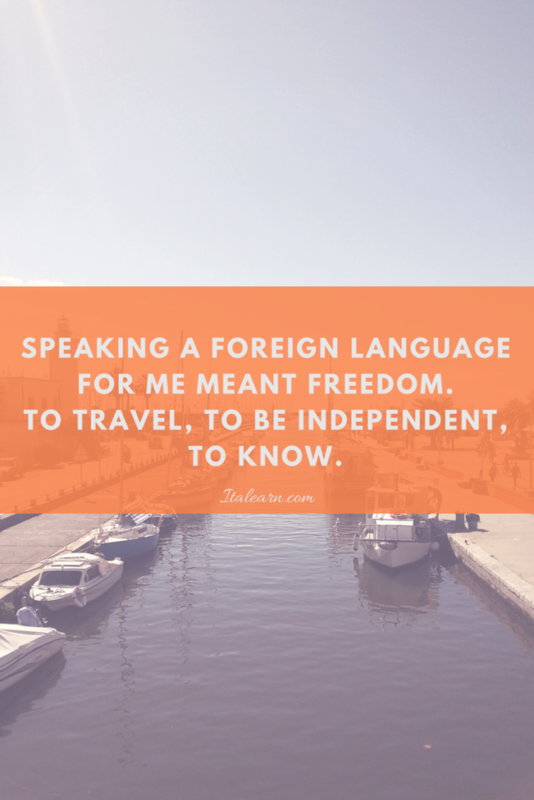 Speaking a foreign language for me meant freedom. To travel, to be independent, to know. So I put as much effort as possible in doing it. While my life was easy with English and with French, it wasn’t with German and Latin. That’s when I got all tangled up with grammar and the notion of [very] conscious learning! The more questions I asked myself in my head before uttering any sentence, the more I remained silent. And you know how it goes, if you don’t actually speak a language, you’ll never really learn it – the times when one could master a language by only reading and writing are so 19th century! CAN WE SPEAK A FOREIGN LANGUAGE LIKE A NATIVE SPEAKER? 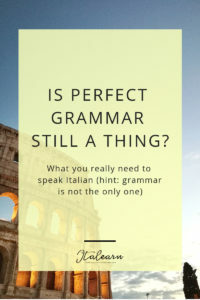 I know that most of us are pretty little perfectionists, but when we speak a foreign language, is it really necessary to be flawless? Of course we can work [hard!] 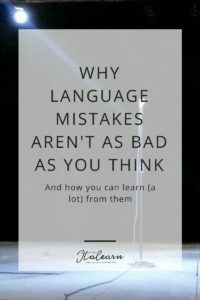 on the quality of our language to improve how we communicate, and we can achieve very good results, but if there was a golden age to learn a new language naturally, would you take advantage of that? I’m just guessing, but if you’re a little like me, I bet a good ⅔ of you just went: sure I’d do! Yes, we’d love to speak fluently and not stressing too much over where the stress goes in the phrase (sorry for the pun, it was intended :)) or that word that never comes to mind when you most need it. How anxious can we get when we have to find the correct verb tense and the correct conjugation? Sometimes there are even more challenging languages, like when you need to learn a new alphabet or an entire new writing system like Chinese characters. Even writing in the other direction, as in Arabic for example, could easily get on our nerves. So, there is a perfect age that would spare us all the stress. But we are all too old. How much too old? Well…, unfortunately too much if you are able to read this post. Expert linguists believe the best age range to learn a language is from 0 (zero) to puberty. Let’s dig deeper into the science behind second language learning. We need to start by making an important distinction: there is a difference between language acquisition and language learning. Language acquisition just happens, our brain is able to process all the inputs it receives by itself. Children have the ability to store long term all the input they get from the outside, it is easier for them than for adults. According to some researchers this has also neurological and physical reasons, but one important thing that differentiates them from us, is the fact that they don’t have all the filters we apply to what happens around us. So, it’s true that they are like sponges, they absorb everything they come into contact with and, what’s more interesting, they retain that information long term. But what they are doing is not exactly learning as-we-know-it though, remember I said there is a difference between acquisition and learning? Here it is: children do speak two or more languages at a very young age if they are exposed to them, but what they do is simply absorbing the languages, without asking themselves too many questions, they don’t even know what mistakes are, and they are not afraid to talk like we are most of the times when we begin to learn a new language. They are unrefined knowledge. 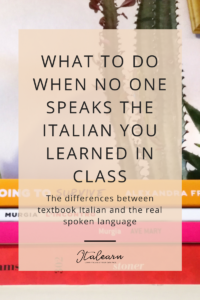 What happens when we choose to, or are forced to learn a new language as adults or young adults? Here is when learning comes in handy. 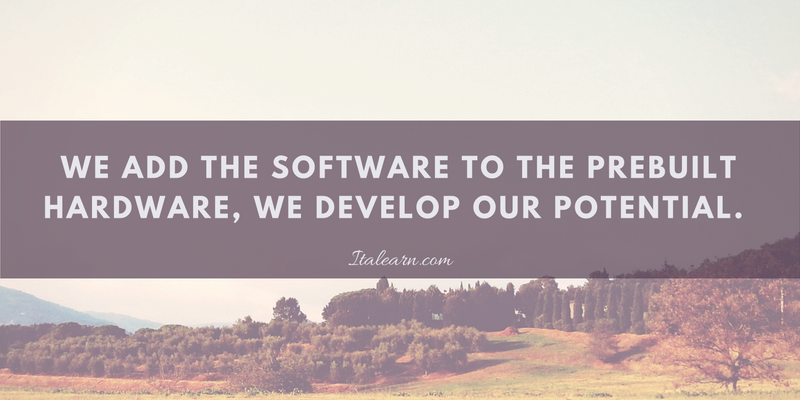 As many linguists put it: we add the software to the prebuilt hardware, we develop our potential. All these skills and many more, can have the double power of inhibiting us and prompting us. If we choose the second option, everything will be much easier in learning a second language. Researchers have found that, as there is a natural progression in the first language acquisition, there is also a progression in learning a second language. What I find particularly interesting of this natural process is the fact that, the right teacher will be able to “push you to your limits” so that you are going to make mistakes, but also to learn from them. Because you have gone beyond your knowledge on your own. Our main aspiration as language learners, of course, is to be able to acquire the language, but we are faced with a major problem: the most relevant factor that could block our acquisition is the so called “affective filter”, which is our own personal way to deal with the emotions linked to learning and our current situation of anxiety, self-confidence, motivation and stress. 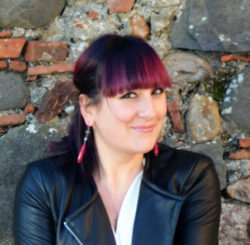 These feelings, emotions, state of minds, are not singularly responsible for preventing acquisition, but what they do is contribute to create a filter, an emotional filter, that temporarily barriers the new language out (you can read more about the affective filter and Stephen Krashen theory here). Usually, a welcoming attitude from the teacher and you, giving yourself the possibility to make mistakes, do the trick. The affective filter is neutralized! 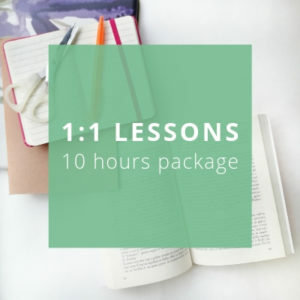 Aren’t these good enough reasons to learn a language? 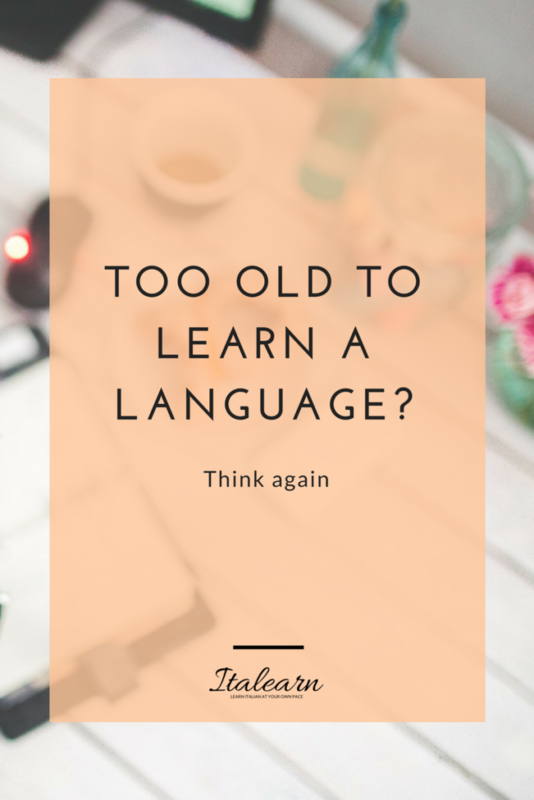 The experience of molding our brain does take place in any case, even if we are over the “best” age to learn a language, it just works a little differently and at a different speed for each of us. It is true that children acquire language, especially their native language, very easily, but this process is very different from learning a foreign language as an adult. 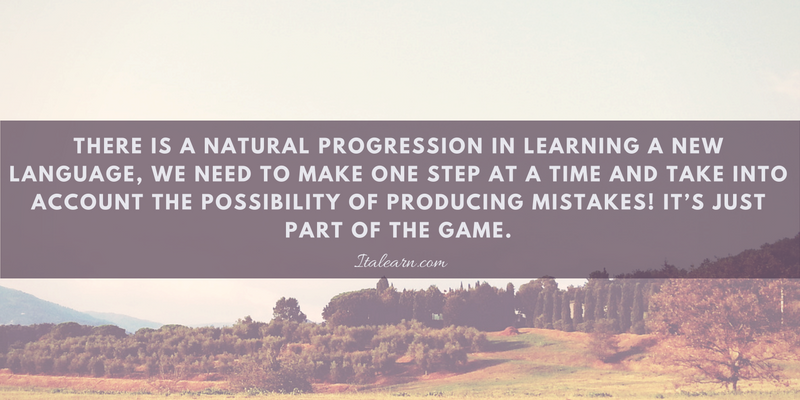 There is a natural progression in learning a new language, we need to make one step at a time and take into account the possibility of producing mistakes! It’s just part of the game. We all turn on an “affective filter” that freezes the process of learning, but it can be easily deactivated. We learn and acquire knowledge in our unique way, we only need to spend some time to identify our learning style and let it guide us. 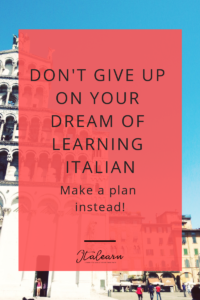 MORE INSPIRATION: I’m sure you now have plenty of reasons why you should start learning Italian (or any other language! ), but if you need some more, take a look at this TED talk by professor John McWorther. 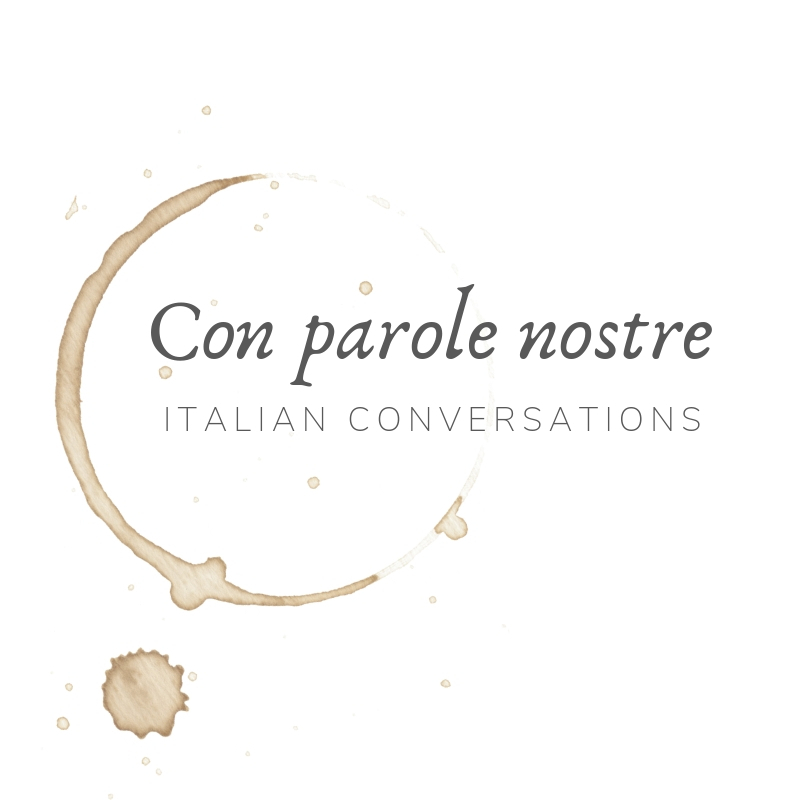 You love reading but think you can’t read a story in Italian because you are a beginner? Think again. 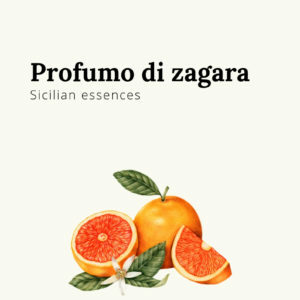 Profumo di zagara is part of “The unconventional Italian Friday night”, a collection of short stories for beginner Italian learners. 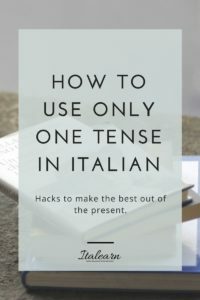 Enjoy reading even if you are just starting out with Italian. Each story comes in a “plain” version and a “full” version complete with vocabulary and grammar annotations. The audio book is also included so you can listen to the story and practice your pronunciation. 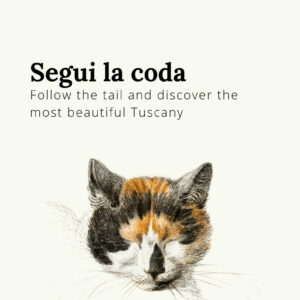 Silvia, this is a great post! 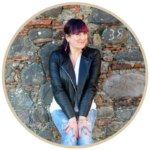 I find vulnerability and shame (of making mistakes, looking stupid, etc.) the main factor that keeps us from experimenting with the language and then using it to connect (Brene Brown was right after all). Teachers do play a big part to help you get over your guards and just talk without feeling inadequate or overwhelmed. Thanks for the little research notes and the TED video! I loved reading the post and have scheduled to share it on my FB page. Thank you Elena! I own a lot to my teachers, both the good and the bad ones. Sometimes we just need to shift our focus, stop seeing only the mistakes and realize how much progress we have made.